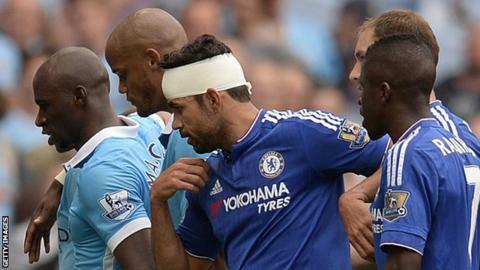 Chelsea's FA Cup fifth-round tie with Manchester City will be live on BBC One on Sunday, 21 February (16:00 GMT). City boss Manuel Pellegrini said earlier he was worried about the prospect of a Sunday game as they play in the Champions League on 24 February. The BBC and Football Association tried to find a way to screen the game on Saturday but "conflicting fixtures and safety concerns" made it impossible. Bournemouth's tie with Everton will be shown on Saturday, 20 February (17:15). They will also screen League One Shrewsbury's home match against Manchester United on Monday, 22 February at 19:45 GMT.